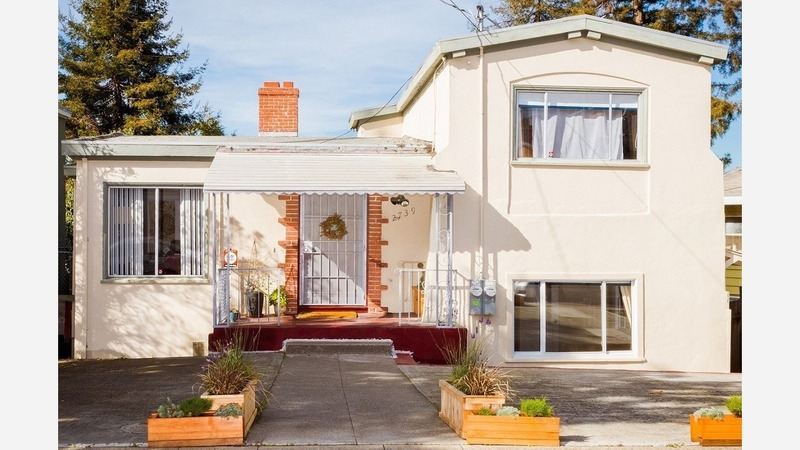 How Far Does $2,200 Actually Go In Oakland's Rental Market? According to rental site Zumper, median rent in Oakland for a studio is $1,675/month, rising to $2,150/month for a 1-bedroom apartment. To get a sense of what these numbers mean in real life, we rounded up several listings that came in at or below $2,200/month. Note: these prices and availability are subject to change. Listed at $2,200/month, this 750-square-foot, 1-bedroom, 1-bathroom apartment is the bottom unit of a duplex at 2741 Ninth Ave. In the apartment, you can anticipate hardwood floors, granite countertops and plenty of natural light. The building features on-site laundry and outdoor space; Good news for pet guardians: cats and dogs are welcome. Next, there's this 1-bedroom, 1-bathroom apartment situated at 3629 13th Ave. that's also listed for $2,200/month. Building amenities include on-site laundry and garage parking. In the unit, there are hardwood floors, a dishwasher, arched doorways and stainless steel appliances. Pets aren't allowed. Here's a 1-bedroom, 1-bathroom apartment at 2005 Pleasant Valley Ave. that's going for $2,195/month. In the unit, you'll get hardwood floors, a dishwasher, large closets, a deck and stainless steel appliances. The building has on-site laundry, assigned parking, a swimming pool and a fitness center, but cats and dogs aren't welcome. Next, check out this 730-square-foot 1-bedroom, 1-bathroom apartment that's located at 250 Whitmore St. and is listed for $2,195/ month. The apartment features carpeting, high ceilings and a dishwasher. Building amenities include a fitness center and a swimming pool, but no pets are allowed. Listed at $2,195/month, this 815-square-foot, 1-bedroom, 1-bathroom condo is located at 525 Canyon Oaks Dr. In the unit, you can anticipate a dishwasher, hardwood floors, in-unit laundry, a fireplace, a balcony and stainless steel appliances. Amenities offered in the building include assigned parking, outdoor space, a fitness center, a swimming pool and secured entry. Pets aren't welcome.